Sulfur hexafluoride (SF6) has excellent heat transfer and dielectric characteristics, better than air and other gases, and has been used for decades as insulation and arc quencher in circuit breakers, disconnectors, and switchgear in the power transmission and distribution (T&D) sector. SF6 effectively protects T&D equipment and ensures proper operation and safety. Moreover, it is stable and nontoxic. However, SF6 leaks can harm the environment, equipment, and human health. Leaks must be detected early and fixed promptly to avoid critical conditions and costly consequences. SF6 is the most potent greenhouse gas known. It is 23,900 times more effective than carbon dioxide (CO2) at trapping infrared radiation in the atmosphere. A very stable compound, any leaked SF6 can last for up to 3,200 years before it is broken down by UV rays. SF6 leaks reduce the amount of dielectric insulation and heat transfer provided to T&D SF6-insulated equipment and can affect the equipment’s performance. Equipment that is insufficiently insulated can lose signal, malfunction, short-circuit, and—ultimately—fail completely, compromising operations and safety. Downtime and repairs or replacement of damaged equipment can be extremely costly. A 10% loss of gas decreases the dielectric strength required to handle short current faults to a point that can permanently damage insulators, shields, arcing contacts, and main contacts. Repairs to restore the equipment to proper working conditions can cost as much as $60,000, depending on the equipment and the damage. Malfunction and failure of SF6-insulated equipment can lead to damage to other parts of the network, and cause fires and extended outages. The financial and safety repercussions of these critical situations can be devastating. While SF6 is nontoxic, it does displace oxygen in the air and can lead to asphyxiation—a daunting threat when working in closed spaces. The gas is odorless and colorless, and difficult to detect without special equipment. Because of its heavier weight, escaped SF6 settles in low areas and poses greater risks in low-lying spaces, such as trenches and pits, where people work with electrical equipment that uses the gas as insulation. Another health hazard occurs when humidity seeps into the chamber. Under normal conditions, SF6 re-forms after electrical stress situations like an arc or corona. However, humidity can prevent this “self-healing” process from taking place. SF6 reacts with water and oxygen after a spark event to form toxic decomposition byproducts such as disulfur decafluoride (S2F10), which can damage lungs if inhaled. Online monitoring for SF6 leaks is a must to prevent critical conditions and to avoid associated hazards. Continuous online monitoring of SF6 density provides accurate and reliable information about gas conditions and possible leaks. 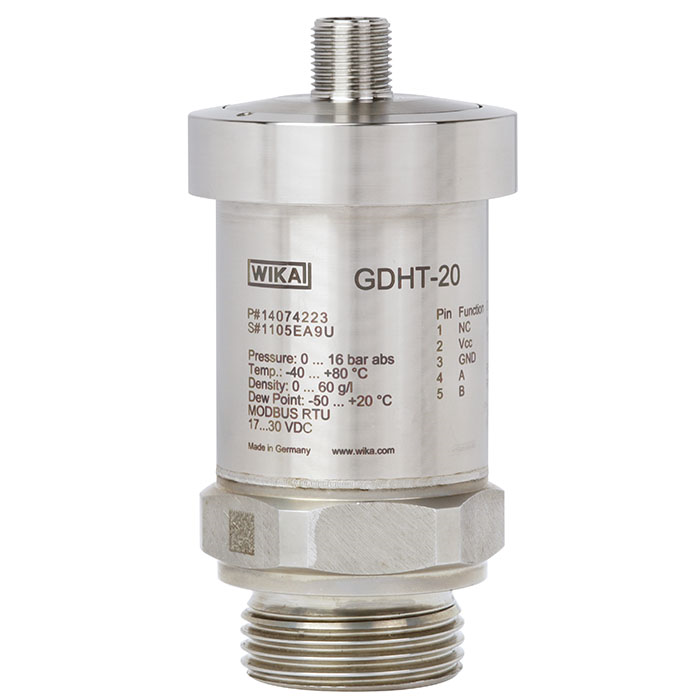 WIKA’s GDHT-20 integrated gas transmitter measures density, pressure, humidity and temperature. Based on these measurements, it calculates density using a virial equation. Furthermore, the system constantly monitors the moisture content of a chamber and can alert technicians when conditions are ripe for the formation of toxic decomposition byproducts. WIKA’s GA35 emission monitor has been especially designed for monitoring SF6 levels in ambient air within enclosed spaces. Its infrared sensor is not sensitive to humidity and common volatile organic compounds (VOC). The GA35 provides continuous measurements and ensures occupational safety. 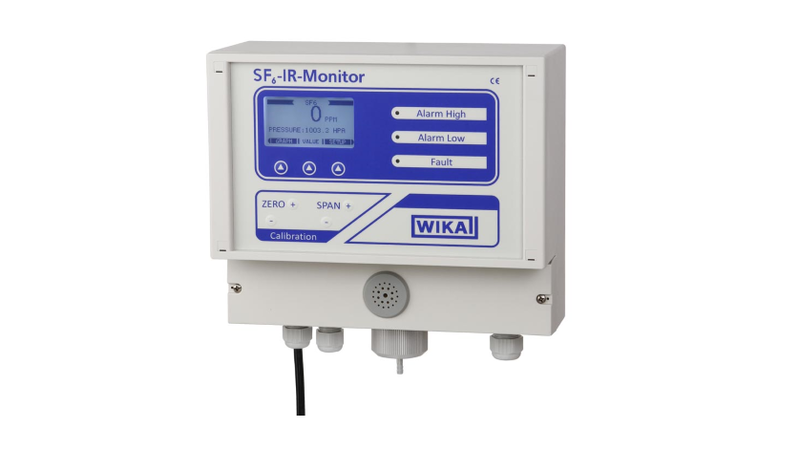 WIKA offers a complete line of products for monitoring SF6. Contact WIKA’s experts today. They can tell you more about how to avoid critical conditions and costly consequences caused by SF6 leaks. As a MSM for SF6 products in Las Americas, I’ve been responsible to grow our SF6 business to keep up with our 2025 vision.I find it fascinating when we accomplish many tasks such as market penetration for our gas handling equipment and SF6 transmitters.I love to travel and create new opportunities for WIKA.